This is a story about a cow. 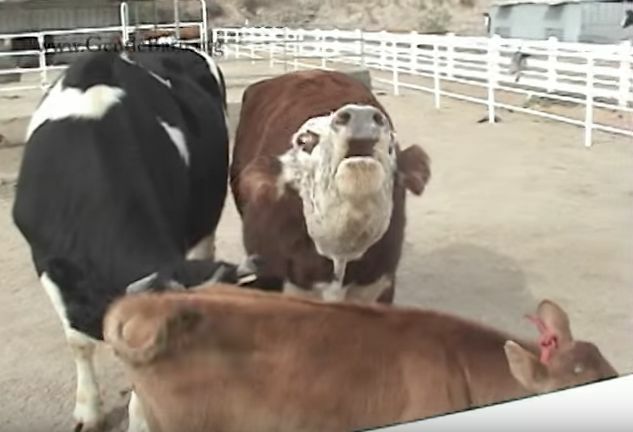 If you think there isn't anything about cows that will interest you, you need to watch the video below. 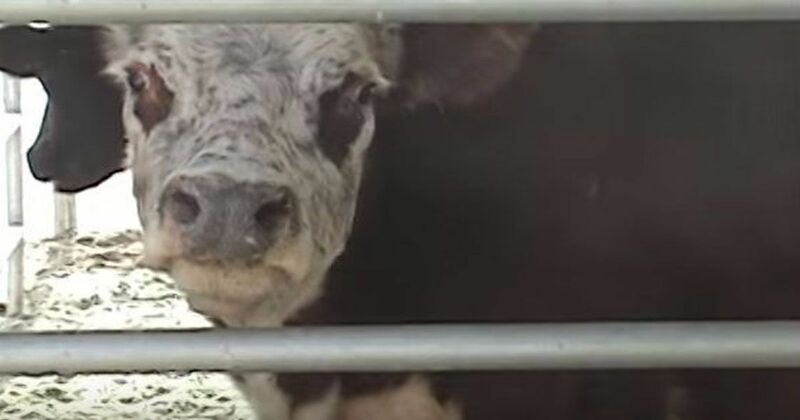 The cow's name is Karma, and she was rescued by Gentle Barn. According to the rescue folks, cows are intelligent and also emotional. When they brought Karma home, they didn't realize that something very important to her was left behind. For three days and nights, Karma was unconsolable. She cried all the time, calling for what was missing. 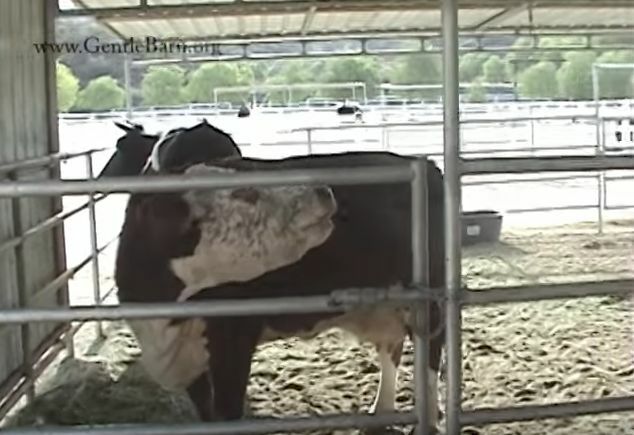 But without a clue as to what was wrong, the kind folks at Gentle Barn didn't know how to comfort her. Then they noticed that she had milk dripping from her udder. 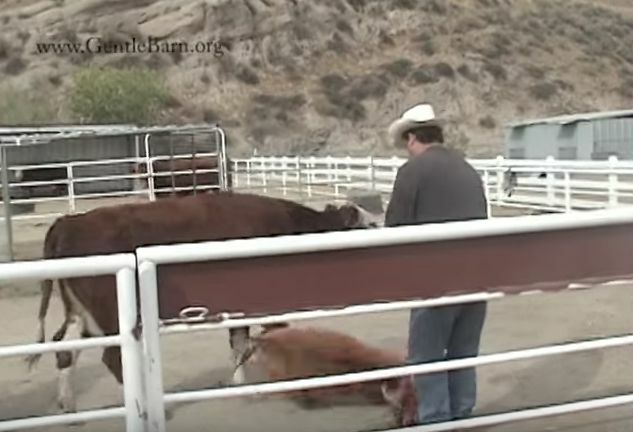 They realized that her calf had been left behind, and Karma was distraught. As her baby emerged from the trailer, Karma ran to the fence, bellowing all the way. Before they could make it to the gate, the little one fell, exhausted and emotionally spent. After her rescuers got her back on her feet, she went to meet Mama. Once inside, the weak baby again fell to the ground. Were they too late? With some encouragement from mama, the calf got back up and was finally reunited with her. 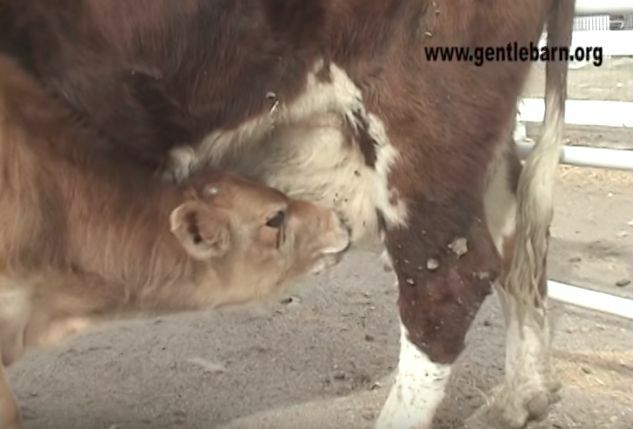 In short order, the baby found her mama's udder and was soon nursing happily. If you look closely, you can see the remains of the tears that flowed from the baby's eyes. "The Gentle Barn rescues animals from severe abuse and neglect who are too old, sick, lame, or scared to be adopted into homes. We are sanctuary to horses, donkeys, cows, pigs, sheep, goats, turkeys, chickens, llamas, peacocks, emus, cats and dogs. Once rehabilitated, the animals help us give hope and inspiration to children with the same stories." See their website here. Share this wonderful video with your friends and loved ones. 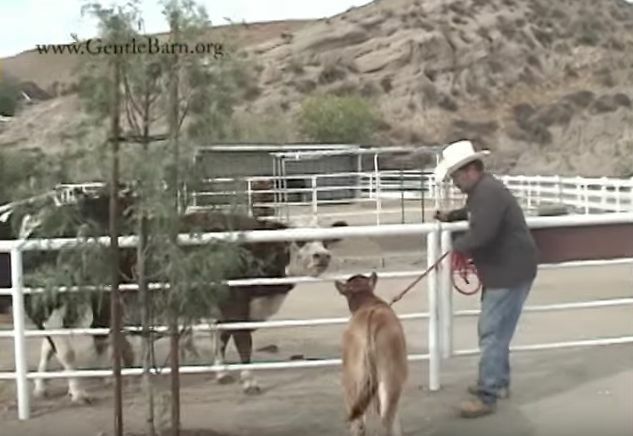 If you love animals, you'll surely love Gentle Barn's mission!